Gnome and Mushroom Beads – Hello Adorable! 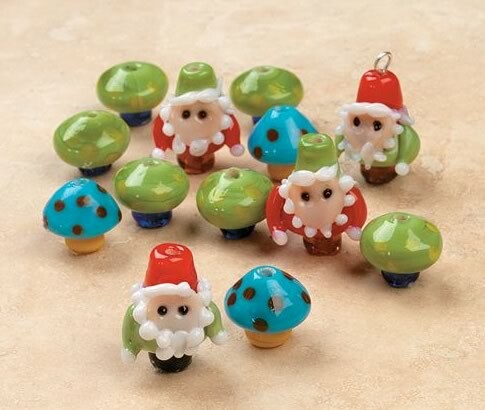 These colorful little gnome and mushroom beads would make a fine handmade charm bracelet. Find ’em at Oriental Trading. Panda Cow Born in Colorado. Yes. A Panda Cow.